Propane is a very versatile gas used for heating, cooking and even fuel for cars. However, propane poisoning is a serious health risk. If it is inhaled, the gas can cause a variety of immediate symptoms and long-term damage. If you are using propane, knowing the symptoms of inhalation can warn you of a leak. 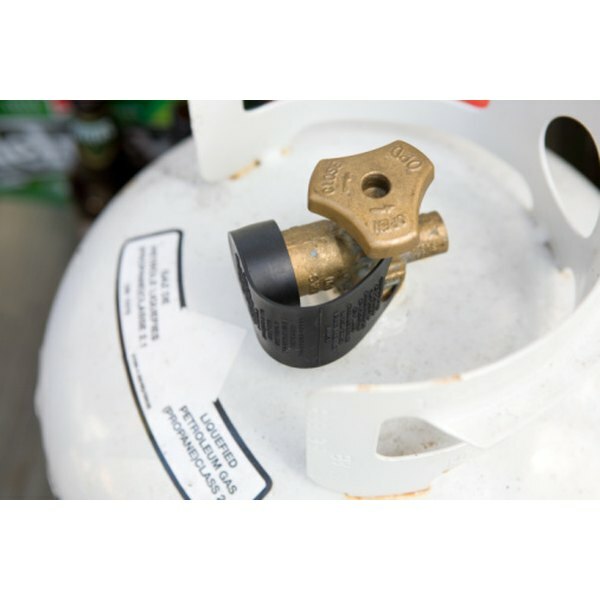 Propane is a gas that is carried as a liquid or vapor inside sealed containers. It it is the most common liquid petroleum gas, meeting 4 percent of the total energy requirements of the United States. When used, propane is released in vapor form from a container, and then burned as fuel for various uses. Since it is odorless by itself, an artificial odor has been added to alert people of a leak. Inhaling propane is extremely dangerous. When breathed in, the symptoms can vary greatly. If you are around propane, be alert to a variety of signs. You may experience immediate effects such as dizziness, cough, nausea, vomiting, skin irritation, fever, nervousness, irregular heartbeat, pain or numbness in the extremities, and weakness. If you or someone else shows symptoms of propane poisoning, seek medical help immediately. In the case of inhalation, move to fresh air right away and see if the symptoms improve. If there is no rapid improvement, call 9-1-1. If the propane gas has come in contact with the eyes or skin, wash it with water for fifteen minutes or more. If the propane has been swallowed, immediately consume water or milk, unless there are symptoms such as vomiting, convulsions or anything else that make swallowing difficult. Do not induce vomiting unless a health expert or poison control center tells you to do so. Treatment will vary depending on the severity of the propane exposure and how quickly the victim receives medical help. Minor propane poisoning will cause small problems like headaches. However, prolonged exposure can lead to a coma, stroke or death. In the hospital, the subject's vital signs will be tested and oxygen may be administered. Blood tests will more accurately reveal how severe the poisoning is. What Are the Dangers of Accidentally Burning Styrofoam?